It has already surpassed the national average and reached more than 95 per cent coverage, with more than 550,000 households and businesses now having access to superfast speeds of 24Mbps and above over the Openreach fibre network. Access to superfast broadband across South Yorkshire continues to increase, largely thanks to Openreach’s commercial rollout and the multi-million pound Superfast South Yorkshire partnership. 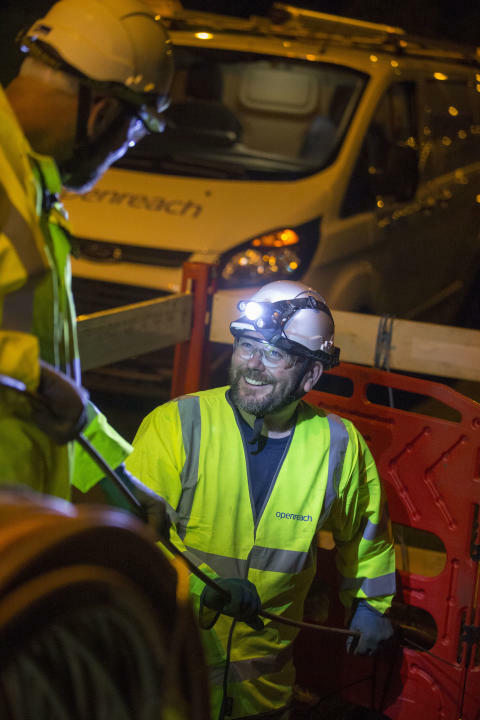 Derek Richardson, programme director Yorkshire and the Humber for Openreach, which employs around 2,200 engineers and other workers in the region, said:“This is a great day for both the country and for South Yorkshire. For a number of years, South Yorkshire has led the way with the roll-out of this exciting technology, which is providing a major boost for the economy. “We have some of the highest superfast coverage figures, which is a tribute to the hard work of local engineers and the success of the Superfast South Yorkshire programme. The multi million pound scheme has been one of the largest and most complex engineering projects in the area over recent years and it’s a great example of the public and private sectors working effectively together.